25 diy jewelry organizers look creative and inspiring, and will help you to find the perfect storage solution for your jewelry. 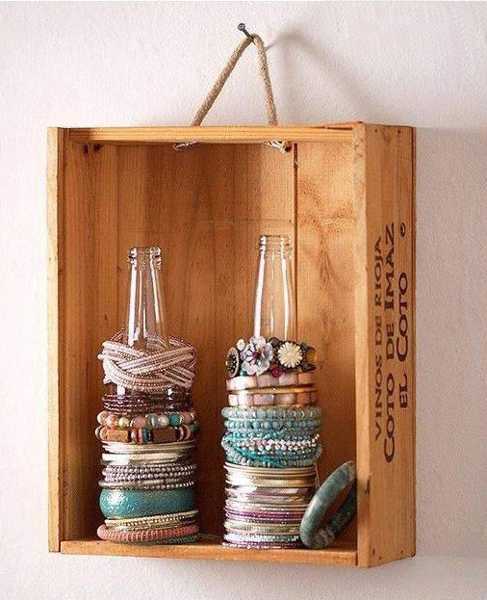 Recycling home fabrics and wood, everyday objects or tree branches for creating unique jewelry organizers are fun ideas. These original designs that are also functional and attractive, make wonderful home accents and home decorations in vintage style. 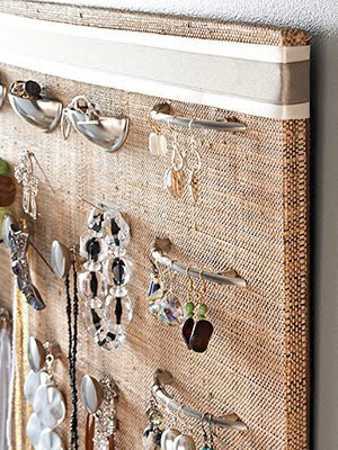 Jewelry organizers in vintage style give charm to wall decor and closets. 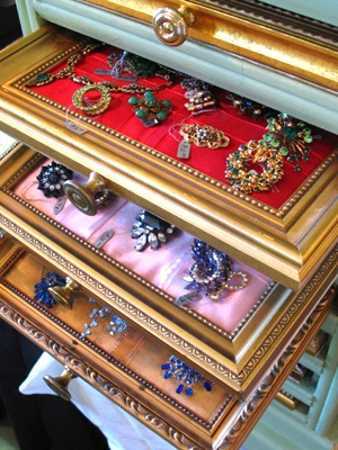 Earrings and bracelets can be easily found on these jewelry organizers, making dressing up quick and pleasant. 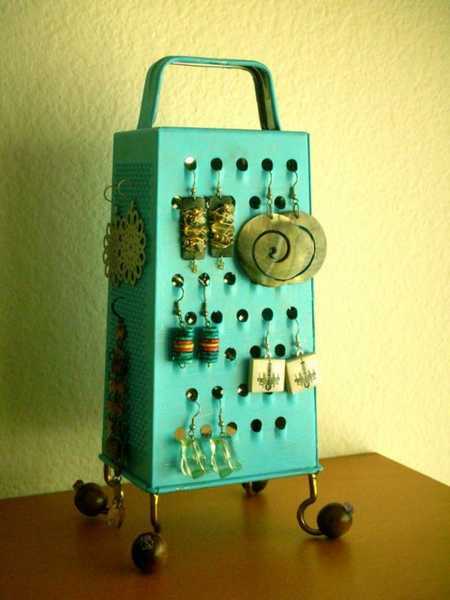 Here are craft ideas and diy projects for recycling useless items and making jewelry organizers in vintage style. Salvaged wood and garden tools, kitchen accessories and fabric leftovers can be re-purposed or recycled, turning them into unique jewelry organizers. Here are a collection of interesting craft ideas that you can follow or modify, making these wonderful decorative accents for yourself and your friend. 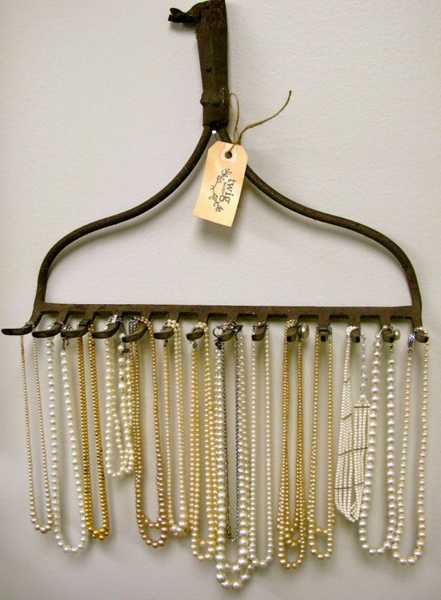 Tree branches and broken chains, garden tools and hangers, old picture frames and wooden boxes, tennis rackets and plastic bottles, simple hooks and towel rails are excellent materials for designing fantastic jewelry organizers in vintage style. Look at these wonderful jewelry storage ideas, get inspired and show your creativity and talents, making stands, shelves and racks for jewelry storage. Old wooden ladder and small book shelves, pieces of lace and wine bottle corks, old serving trays and handles fixed on a kitchen cabinet door make unusual and surprising designs that offer creative jewelry storage solutions, while giving your wall decor or closet charming accents in vintage style. Fabulous, creative and unusual jewelry organizers make excellent surprising gifts that will jazz up any bedroom or dressing room decor, bringing charming decorations in vintage style.